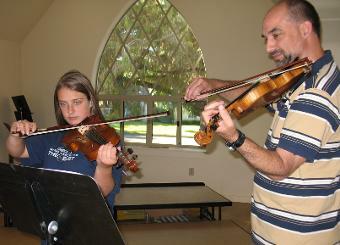 Teaching violin, cello & guitar lessons in the greater Sacramento / Elk Grove area. Students: click here for the MP3 practice files. Individualized lessons encourage each student to attain their personal musical goals. Students work on fun, musically instructive pieces. Over fifteen years of teaching experience. Studio lessons available at 3 Sacramento area locations. ½ hour private lessons, once a week: $27.50 / lesson. 45 min. private lessons, once a week: $38 / lesson. 1 hour private lessons, once a week: $50 / lesson. Lessons are scheduled on a monthly basis - with payment due at the 1st lesson of each month. I teach a small ensemble group open to students with an intermediate note reading ability. This group meets on Sundays at 2:30 for 1 hour and costs $10 per session. Thank you for taking time to visit my web site. If you would like to learn to play the violin, viola, cello, guitar, or bass or if you are already learning but would like a fresh approach, I would love to be your teacher. My goal is to help open the world of music making to my students, enabling them to become accomplished, confident musicians. I teach a wide range of styles; Classical, Celtic, Jazz, American fiddle, Rock & Pop. I also believe it is important to play with and listen to others, learning to blend and fit a part together with others as partners in the group's overall "sound". To this end I offer a small group ensemble class for my students when they are able to read well enough. The skills and joy of making music are things that you or your child can develop and retain for a lifetime. 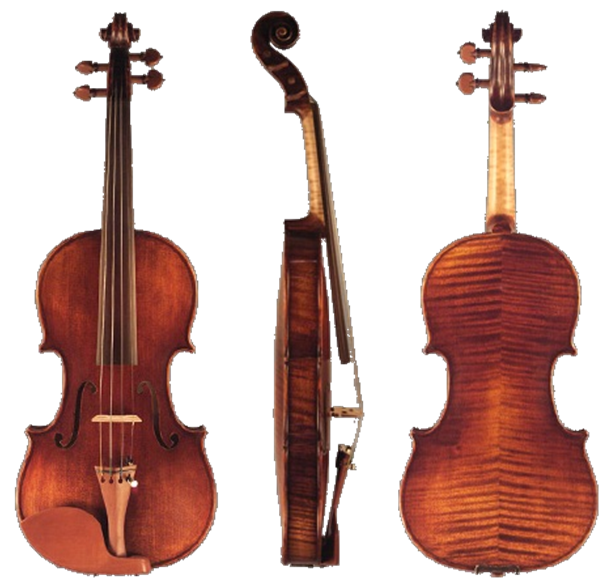 I have included some information to help parents and violin students find an instrument that fits. You may also want to get a shoulder rest and either download a tuner app or purchase a tuner. 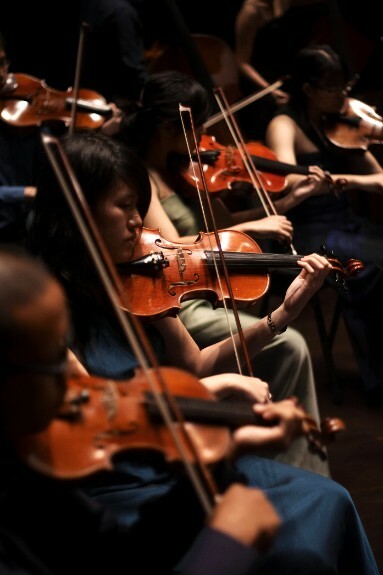 I give violin lessons to children and adults in Sacramento, Clarksburg, and Elk Grove, California. 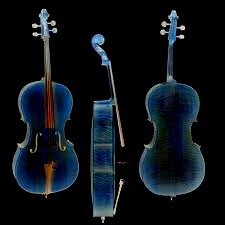 Playing the violin is my passion. Violin lessons are given at the Pease conservatory in down town Sacramento CA. And at the Clarksburg Community Church. I serve rancho cordova the Elk Grove, Ca 95624 Sacramento, Ca 95816 and Sutterville / Land park areas Roseville Rosemont West Sacramento. I am just minutes from the greenhaven area. One of the best violin teachers. This studio is one of the finest instrumental music schools in the south Sacramento area. learn to play music. Learn cello. Learn guitar. Learn violin.